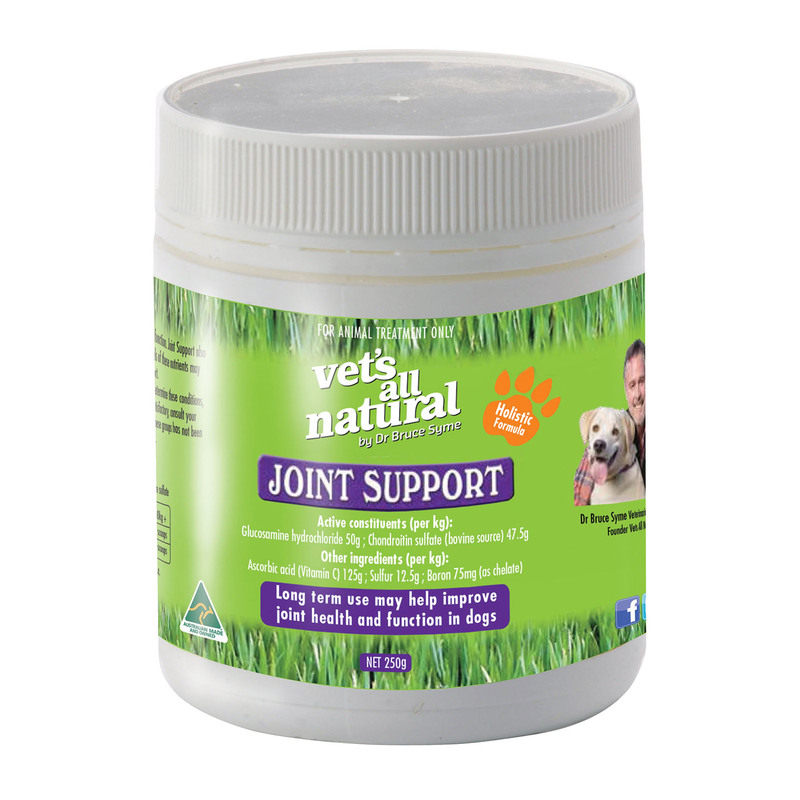 Vets All Naturals Joint Support is a perfect formula that helps with symptoms of arthritis in animals. It is also a holistic approach to assisting with joint and bone problems. This scientific formulation provides nutritional support for maintaining and strengthening skeletal system. It helps repair damaged and injured joint surfaces, tendons and ligaments. Vets All Naturals Joint Support diet assists natural pain relief and helps keep your dog joints health. Consult your vet before starting this dog supplement. Mix it with moist feed once a day. Use with caution in pregnant or lactating animals. Consult vet before using this in animals with bleeding, liver and kidney disorders. Protect from moisture, heat and light. Keep container tightly closed after use. this product is cheapest and also with good quality. Faster delivery also made me your regular customer. Happy to have the option to give my dog these supplements to ease his arthritis. Its really shows improvement. I am using this product since Marco was 7 years old. It is the best supplement as it has not only controlled joint problem in Marco but has helped him stay active and healthy. Recently, I have found Vetsupply, where I get this product at cheap rates compared to what I was buying previously. After starting this supplement, Mike has shown good improvement in walking and running before which it was difficult for him to even move. Happy that I got this product and too at best price.